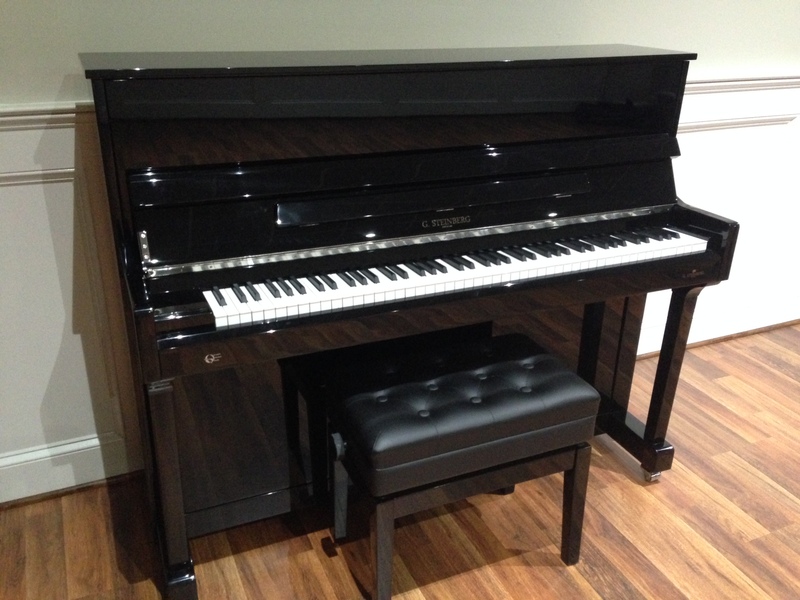 About: This 47″ piano packs an extraordinary complexity for its size. G. Steinberg’s commitment to maintain high material quality even when competing against lower-cost alternatives has meant that anyone can now enjoy the benefits of materials such as the Austrian White Spruce; a highly valuable wood, almost exclusively used for the ultra-high end of the piano industry. Musicians are treated to an intriguingly complex tone full of warm mid-tones and clear but subtle highs. The dynamic range of the piano is substantial, but still appropriate for a smaller living space, making the “115 SLATE” the perfect piano for apartments, homes or practice rooms.